Marijuana shop? Mountaineering museum? Ray Genet memorial? All of the above. 100 miles north of Anchorage, just outside Denali National Park, lies the small mountain town of Talkeetna, Alaska. It is a tourist destination for those trying to catch a glimpse of real mountains and an international climbing destination for those brave souls willing to attempt the most iconic mountaineering objective on the continent. At the far end of Main St. in Talkeetna, is an old hand-built log cabin that was the home of Ray Genet. For those who don’t know, Ray Genet is a legend. He was a Swiss-born Mountaineer and Guide best known for his pioneering efforts on Denali, the tallest mountain in North America. He spent over a decade developing an intimate knowledge of the weather, terrain, and skills necessary to successfully climb and guide on the mountain. Having over 30 summits on Denali, he was known to make 3 to 4 trips a season, as well as even bringing dog sleds to 14k ft camp… A legend. For a long time, Ray actually held the record for the most summits ever on Denali. 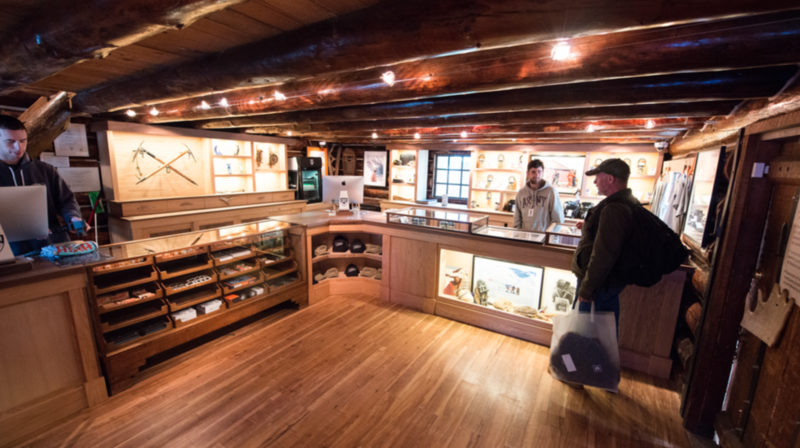 He built the log cabin in Talkeetna to serve as the home base for his guiding company, Alaska Mountain Guides Inc. That same log cabin is now a cannabis dispensary that showcases his legacy, along with several strains of high-quality bud. The cabin is 80% mountaineering museum, 10% pot shop, and 10% headquarters to a budding lifestyle brand. I found a few extra stickers on the nearby table. I put one on my Rite in the Rain notepad and one on a Nalgene before I even knew that this company did. While sitting in our tents on Denali, we discussed several times where we thought the logo came from. When I got off the Denali and back to the Cabin several weeks later, a fellow climber filled me in on The High Expedition. As soon as I walked in, my eyes widened and jaw hit the floor. It was a Denali Mountaineering Museum with Ray Genet as its centerpiece in a traditional old Alaskan Log Cabin. And, yes, a pot shop! I immediately met Joe McAneney, the owner, the designer of the logo, and the mastermind behind the restoration of Ray’s legacy. We talked for a while and I learned about Ray, Taras, and the origin of Denali guiding. Ray is the legend. The pioneer. But his son Taras built a legacy of his own. Taras Genet is the first son of Ray. He was only 2 years old when he was carried by a Sherpa to Everest base camp with his mother, were where they waited for Ray to come down from the summit. Taras was the first blonde haired blue eyed baby to be seen at basecamp. He already has a line of streetwear including shirts, hats, and hoodies popping up at trailheads and climber bivys. His goal is to expand. 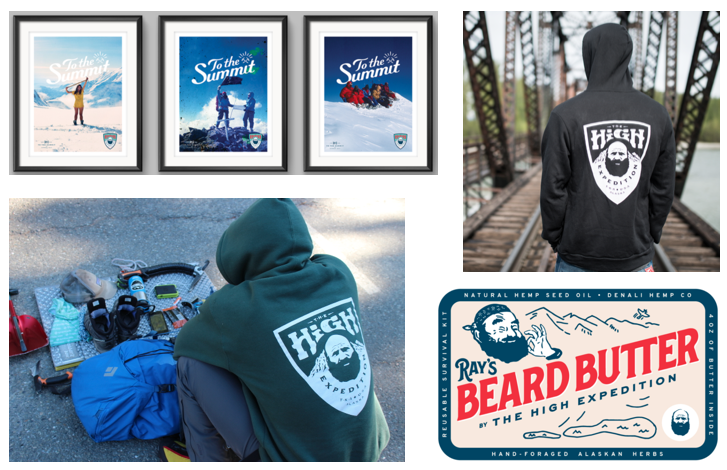 He is getting ready to release a line of functional apparel (base and mid layers) that consists of a proprietary combination of hemp (locally grown) and merino wool, and products like “Ray’s beard oil” and “The Pirates hand salve” are just hitting the shelves. A few months ago, Joe was approached by a Director with hopes to make a documentary on Ray and Tara, and their impact on Alaska mountaineering. 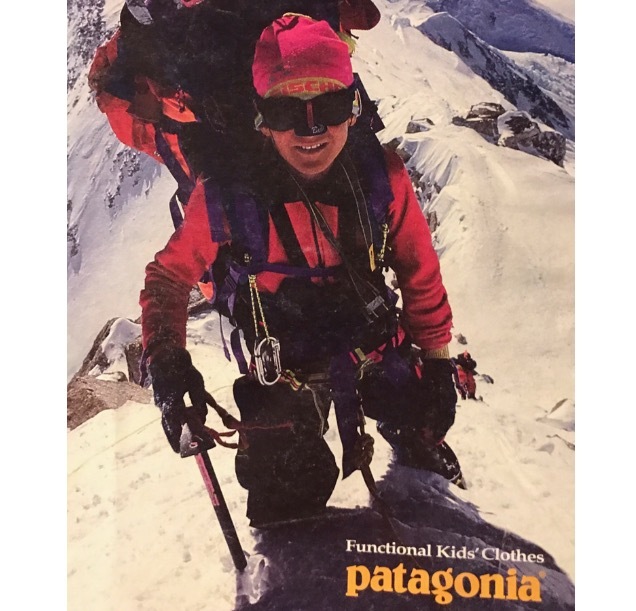 Ray Genet was a climber, a guide, and a pioneer. He died on an Everest climb back in 1979, but his legend lives in a way no one would have expected. 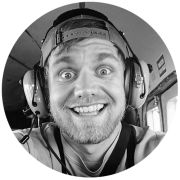 Former Business Analyst Turned Mountain Guide. Splitboard stuff. Climbing stuff. Also, a very snazzy dresser. Between The Peaks // Karma Project // Miyar Adventures. So dope!!! Such a cool concept and great execution. The shop looks beautiful, too. My best bud Meg is heading your way next week, I’m so jealous. I will make the trip to see your place at some point. It looks so great, great job ! Amazing concept, good for you for turning your dream into reality . 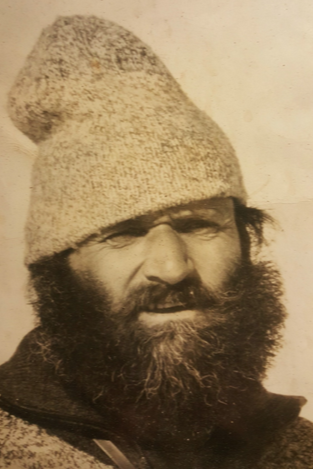 In the mid 1970’s I helped Ray Genet pack for an expedition up What was then named Mt. McKinley. now Denali. We were packing in the basement of the parsonage of the local Wesleyan church in Anchorage. Packs were laid out on long tables and I went around the tables putting items in the packs. Cool experience for a 15 year old girl. He was quite the character and legend. Is Taras somehow involved in this since it’s using his family legacy?